It was through a screen that FC Montreal midfielder David Choinière found out he would be the first player from the Impact United Soccer League affiliate to sign with the bleu-blanc-noir. Choinière was in Dallas, Texas to play in the United States Soccer Development Academy playoffs with the Impact’s under-18 side. He got a FaceTime alert on his phone. Facing him on screen were Montreal Impact head coach Mauro Biello, technical director Adam Braz, and FC Montreal head coach Philippe Eullaffroy ready to break the historic news. Despite knowing, he made the work to get there, Choinière remained a little surprised given he only played a few months with FC Montreal in the 2016 USL season. For Braz, it wasn’t about the last few months. 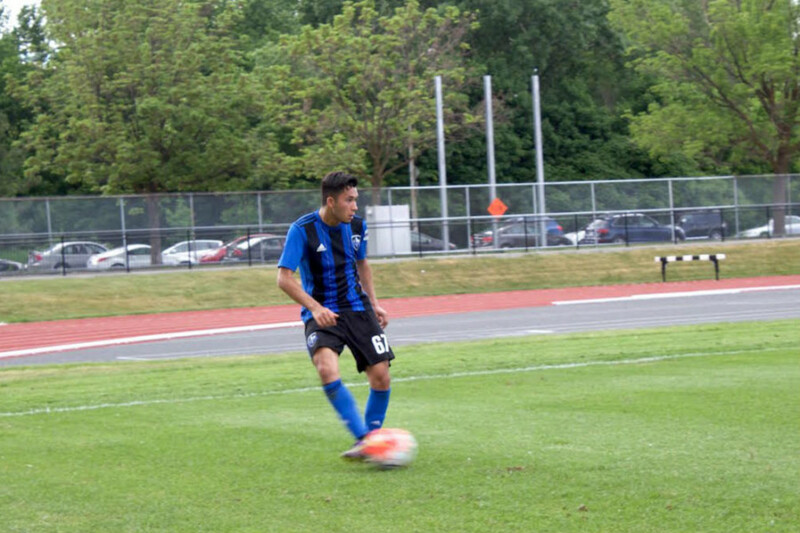 Choinière is not only the first FC Montreal player to have signed a Major League Soccer homegrown contract, but he is also the first player that has been with the Impact academy since it was established in 2010. He also believes that the time was now for Choinière to get to the next level. Instead of waiting six months to sign him at the end of the USL season, Braz chose to release defender Maxim Tissot in order to free up a roster spot for the 19 year old. 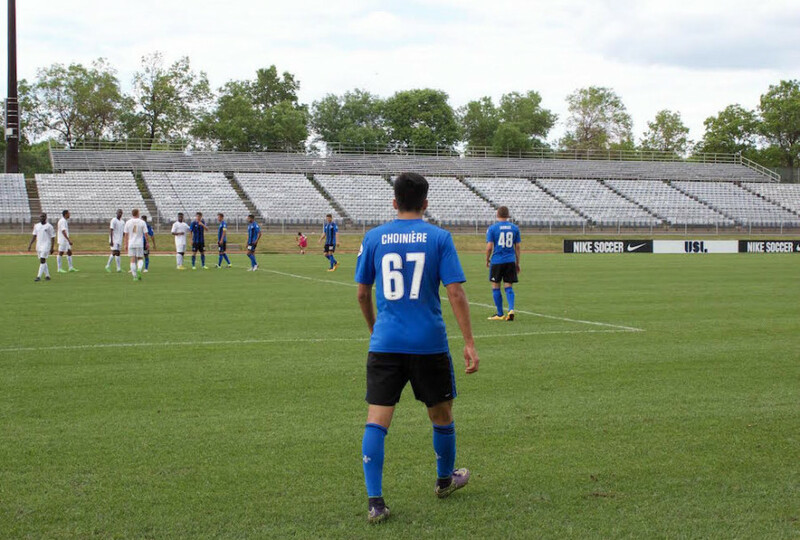 Freshly arrived in Montreal from the southern United States, Choinière swapped his old number 67 for a brand new number 17, heading to his first practice as a member of the Impact first team Wednesday morning. For Biello, Choinière now has the best of both worlds to help him develop as a player. The head coach and technical staff plan to continue making him play with FC Montreal. Braz added that no pressure will be placed on Choiniere. All he has to do is work his way towards playing a few minutes with the team and slowly adding to this. A system of loans back to FC Montreal, previously used with players such as Jérémy Gagnon-Laparé, Maxime Crépeau and Anthony Jackson-Hamel, is expected. The signing is also great news for the Impact academy who sees its first player that grew through each level, sign with the first team. It is a memorable moment for the growing Impact Academy going forward according to Braz.